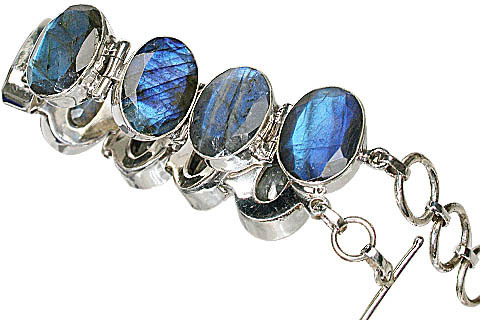 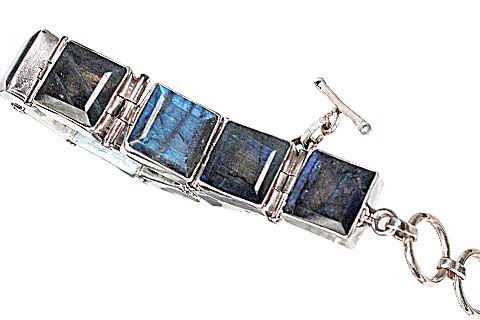 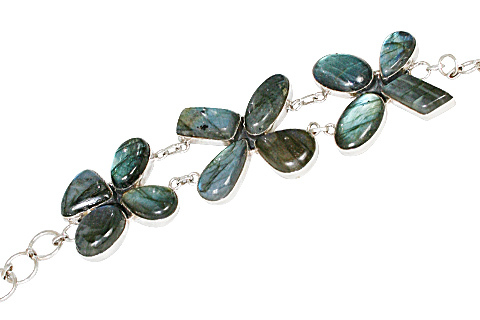 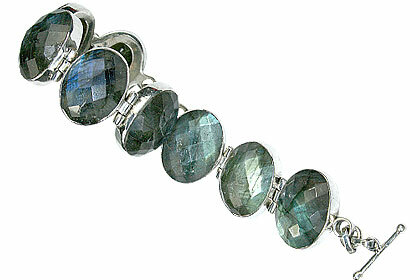 Fire labradorite with nice blue and green sheen is used in our bracelets. 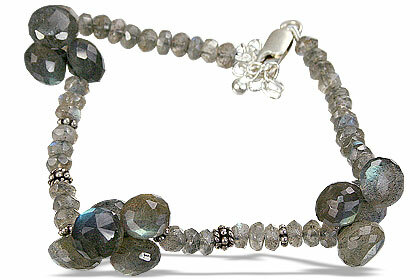 You just can not resist the mysterious dark charm of this seductive stone. 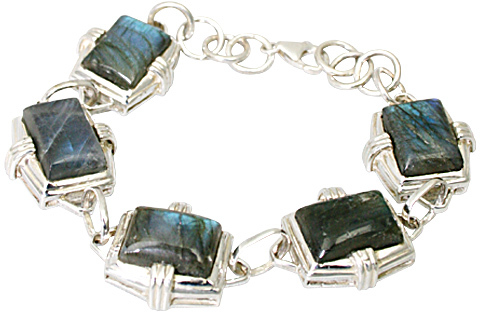 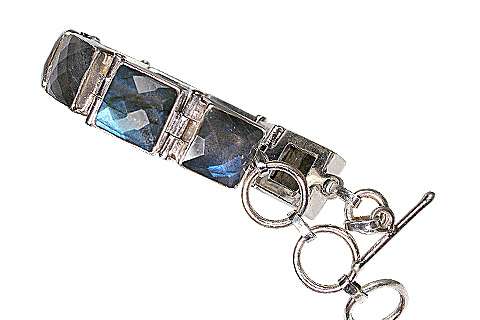 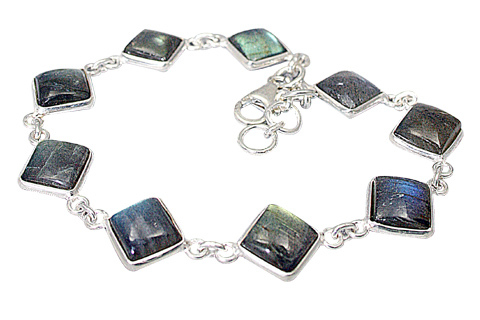 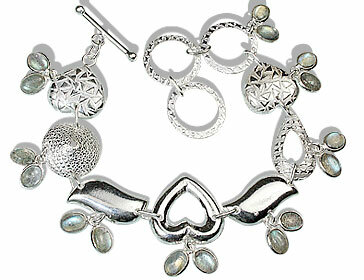 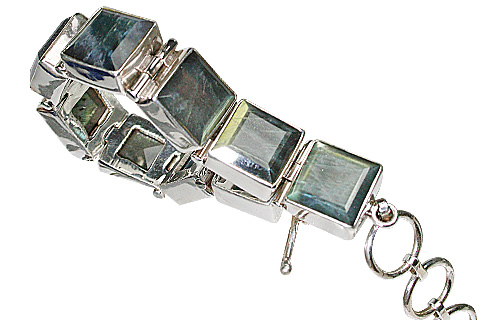 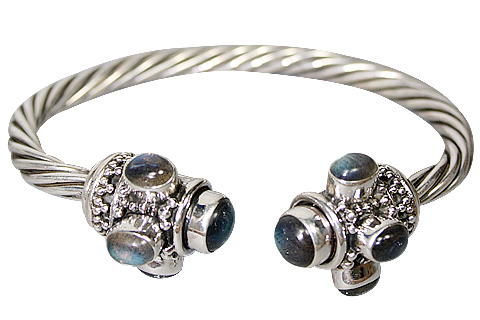 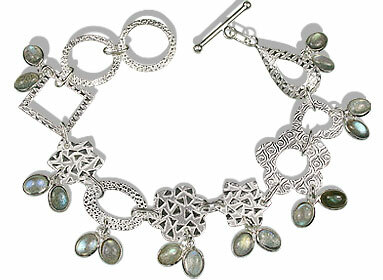 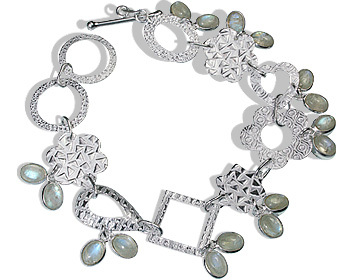 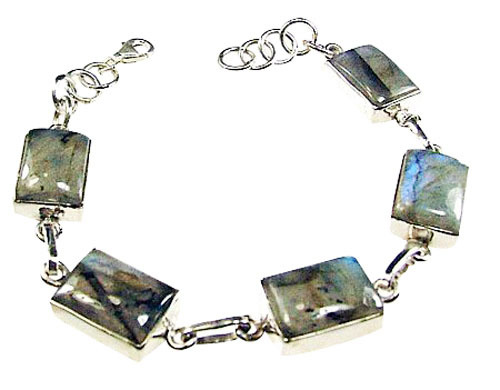 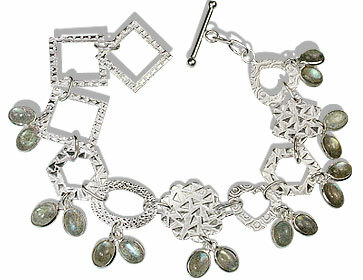 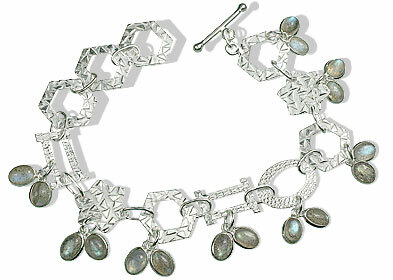 We have put together a gorgeous collection of labradorite bracelets, both beaded and silver. 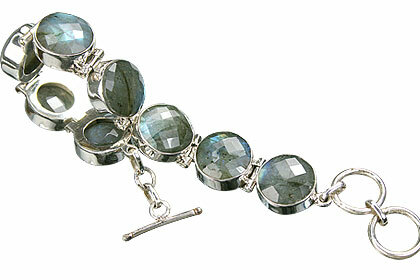 All our bracelets are handcrafted using the selected labradorite gemstones. 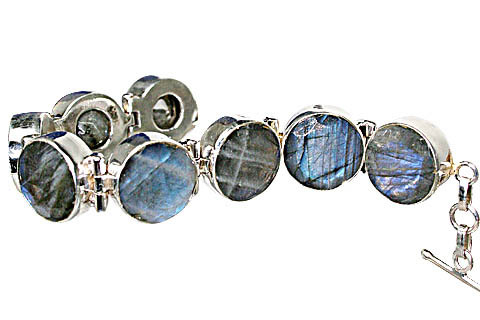 Labradorite is an unusual gemstone that shimmers as the light plays across the stone, showing a range of colors that usually includes blue, teal and grey but can also show yellows, orange, green and red. 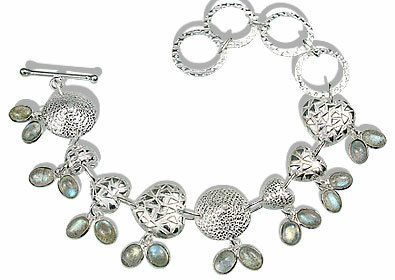 It ranges in clarity from opaque to hazy translucent. 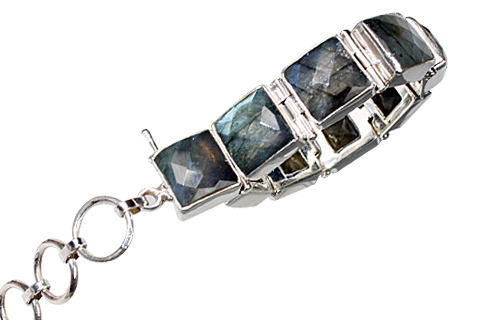 Labradorite gemstone is usually cut with a flat surface in order to highlight the flashes of color.